Marijuana isn’t all fun and games in the eyes of the Nevada Gaming Commission. Though Nevada voters legalized recreational pot in last fall’s November election, the five-member regulatory panel has publicly warned gaming companies to continue treating the drug as an illegal substance. With the first sales of recreational marijuana in Nevada scheduled to begin July 1, the Gaming Commission reiterated its anti-pot position during a licensing hearing this week in Las Vegas. 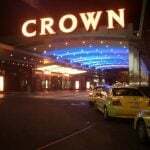 Jacobs Entertainment was before the Commission to receive authorization to operate the Sands Regency Casino Hotel in Reno. Jacobs purchased the property from Truckee Gaming late last year. The Gaming Commission unanimously approved Jacobs’ application, but not before Chairman Tony Alamo asked a representative for the company based in Golden, Colorado, about its marijuana policies. Colorado was the first state to legalize recreational pot consumption, and this answer provided a glimpse into how casino officials can appease Nevada gaming regulators amid conflicting state and federal laws. 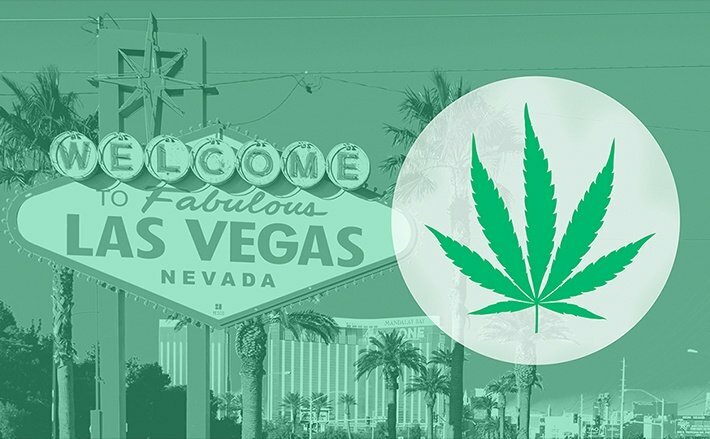 In 2014, the Nevada Gaming Control Board (GCB) spelled out how unless the federal law changes, casinos and other gaming licensees should steer clear of the burgeoning cannabis industry. 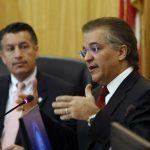 “Any such investment or involvement by gaming licenses or applicants would tend to reflect discredit upon gaming in the State of Nevada,” GCB member Terry Johnson said at the time. 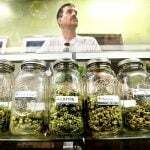 Residents in states with legalized marijuana laws aren’t exempt from the federal ban, though former President Barack Obama’s administration did little to enforce a longstanding federal prohibition on medical and recreational use. However, under President Trump, federal agencies might be directed to enforce the law. And despite being an advocate for states’ rights, US Attorney General Jeff Sessions has been a notable opponent of marijuana legalization efforts and has not ruled out the possibility of enforcing the federal ban. Nevada gaming authorities are basically telling casino companies to stay away from marijuana. But how far such avoidance should extend is still being determined. NGC has already said investing in the cannabis industry is not compatible with being a casino licensee, and thus has strongly discouraged gaming investors from also buying stakes in cannabis dispensaries. 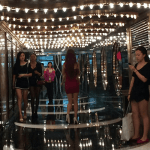 But Wynn Resorts may be taking the matter a step further, by turning away customers who have been bankrolled by the marijuana business. Earlier this month, the CEO of a budding (pun intended) marijuana social media platform said he was barred from Wynn Resorts in Las Vegas, due to the source of the money he wanted to gamble. Though Isaac Dietrich’s MassRoots company doesn’t sell marijuana, Wynn rejected his application for enrollment into the Wynn Red Card rewards program due to his line of work.